In recent decades there has been a significant rise in the general use and abuse of prescription pain medications. This phenomenon can be ascribed to their increased availability and a rise in prescriptions written for these medications. Why are doctors writing more prescriptions for these drugs? There is a greater demand for treatment of pain, as well as more aggressive marketing campaigns by the pharmaceutical companies who manufacture these drugs. The higher demand has also led to new forms of pain medications hitting the markets sooner. There is a wider and stronger range of opiate analgesics available to Americans than ever before. Prescription drug abuse has risen dramatically in the decade or so. More addictions, overdoses and deaths have been reported than ever before. The epidemic is costing billions in dollars and taking the lives of many. Illicit use of prescription has begun to take more lives than both cocaine and heroin. Prescription drugs are now used more than any of the illegal street drugs, except for marijuana. There are more people entering into rehab for prescription drug dependence than any other drug. The health risks that come with abusing prescription drugs is as serious, if not more serious than using illegal opiates. Emergency room visits due to using these drugs was most common for men and women between 21-29 years old. The group associated with the highest risk of death due to prescription drug abuse is white males aged 40-50. 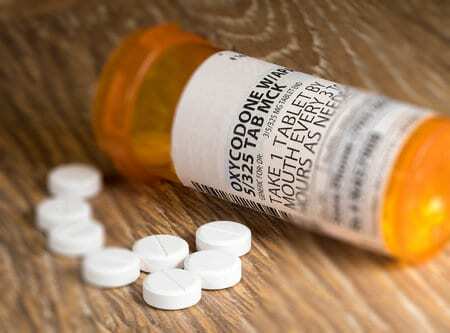 It seems that the risk of a fatal overdose increased with higher dosages, rapidly increasing doses, having multiple prescriptions, refilling early, and using other drugs that fall into the sedative-hypnotic category. Another alarming fact about prescription drug addiction is that newborns are increasingly suffering from withdrawal symptoms related to opiate use. Because prescription drugs are so widely prescribed and easy to find in almost every household medicine cabinet, high school aged and even younger children are able to obtain pain medications for recreational use. In 2009, 20% of high school aged kids reported to having used prescription drugs for fun and the numbers continue to rise. Prescription drugs are now second to marijuana in popularity among this age group. Use of these drugs seems to be more prevalent among teens living in rural areas. In these towns, the abuse of pain medications has truly become an epidemic. Deaths from automobile accidents are in decline but the deaths that do occur are increasingly caused by prescription narcotics. In 2009, 33% of people killed in an automobile accident tested positive for prescription drugs. The study included narcotics, stimulants, and depressants used for both non medical and medical purposes. Break ins and thefts from pharmacies have also seen a dramatic rise. Addicts who are no longer able to obtain drugs from old sources will resort to robbery to feed their addiction. As more and more individuals become addicted to prescription narcotics, the number of such incidents will also increase. Learn more about the prescription drug rehab options available at Seasons Malibu.